Your parents were right – people really do judge you by the company you keep. It’s an early lesson in what we call referral marketing. Over the years, healthcare marketers in particular have taken the practice of positive association to heart. Every month provides an opportunity to associate their brand with events, activities and images that reflect their expertise, good will and commitment to patients and community. In fact, the U.S. Department of Health & Human Services lists 218 health-related observances in 2017. Observances such as American Heart Month (February) and Breast Cancer Awareness Month (October) give health-related businesses the chance to promote their relationships with patient groups via earned traditional and social media, special programs and other activities – with the hoped-for result of an increase in new patients, business leads, or other referrals. Some do it better than others. Those who do it best have very specific goals in mind. One PRSA Silver Anvil Award-winning referral marketing campaign led by SPRYTE Communications was designed to help Crossroads Hospice & Palliative Care, a multi-state hospice services company, promote the value of social workers. The logic was simple – social workers represent a professional group that is a key gatekeeper to hospice patient referrals. Building Relationships: SPRYTE worked with Crossroads to develop an innovative referral marketing program that could be easily replicated in each of its local markets. In addition to targeting social workers, the program sought to engage healthcare professionals who work with social workers – physicians, nurses, hospital administrators, and others. A successful referral marketing program should be engaging – something that provides a clear tie-in to the sponsoring organization – while also offering some tangible benefit. In Crossroads’ case, the branded recognition portion began with the name of the program. 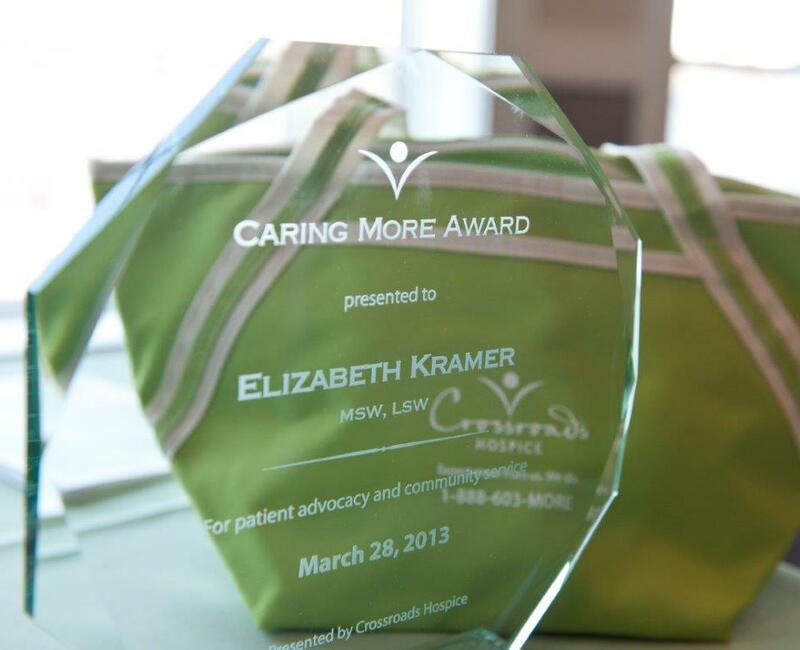 The “Caring More Award” reflected the company’s longstanding motto (“Expect more from us. We do.”) as well as its commitment to providing its patients with high-quality services based on individual need, regardless of what was covered by Medicare. The tangible purpose of the “Caring More Award” was to honor local social workers as unsung heroes who (much like the Crossroads motto) work tirelessly and go the extra mile to serve the elderly and the ill. Social workers were nominated by healthcare practitioners from their region, and selected by an independent panel of judges. The eventual award winners received a cash award, provided by Crossroads’ charitable foundation, to present to a nonprofit organization of their choice on his or her behalf during an award ceremony. Careful Planning as Important as the Program: Effective referral marketing campaigns involve a lot of preparation. SPRYTE worked with Crossroads to reach out to local hospitals, nonprofits and long-term care facilities to solicit nominations for deserving local social workers and to recruit independent judges to help make the selections. SPRYTE also developed a standard nomination format that facilitated the selection process and conducted interviews with the nominees in order to provide judges with important background information about each one. Through the course of their outreach, Crossroads representatives used the occasion to build new relationships that would enhance prospects for future referrals by community clinicians and social workers. Over the five years the program has been implemented, Crossroads has built numerous new business relationships with healthcare institutions and other entities that employ social workers, as well as connections to local and state social worker association members through the various owned media platforms operated by these entities. In addition, the branded recognition aspect of the award program offered access to the social work and related healthcare communities in a relationship-building vs. sales-oriented context, which proved highly effective in enhancing patient- referral marketing efforts. The referral marketing campaign also provided a high level of positive media exposure. In 2016 alone, the campaign generated more than 2.2 million impressions across print, broadcast and social media platforms – in more than 40 states.